Titanium Ring with Micro Textured Inlay. 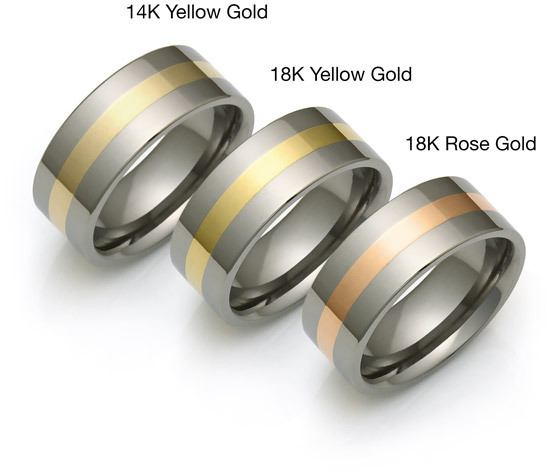 Crafted from the strongest aircraft grades of titanium for durability and 18K Gold or pure Platinum for timeless beauty. 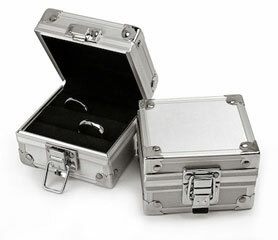 You also have the option to order the ring with 14K White Gold and Silver inlays. Design: This domed ring is separated into thirds, the sides being of perfectly smooth titanium and the middle a precious metal inlay hand textured for that special organic quality. Construction: Every ring is precisely cut and inlaid (approximately 1/2 the depth of the ring) with a precious metal of your choice. 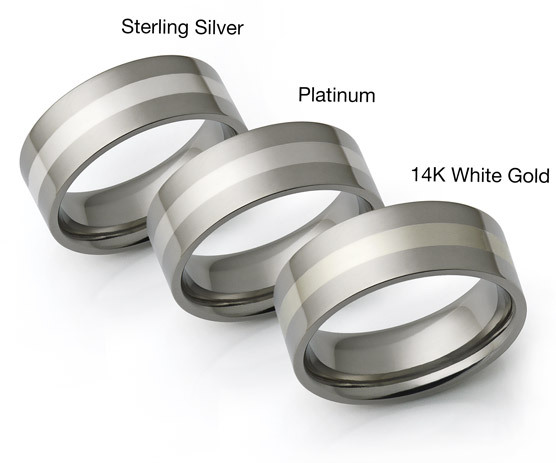 The ring is hand finished preserving its immaculate curvature. 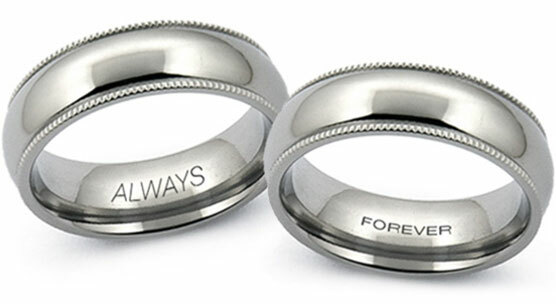 The inlay is textured and the ring is polished one more time to insure the surface is perfectly smooth the the touch. 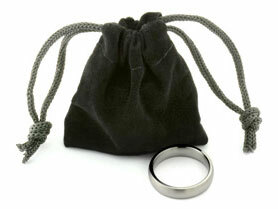 Comfort: As with all domed rings this one is very comfortable for everyday wear. 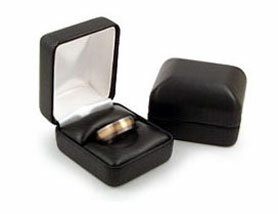 The ring is rounded on the inside for a complete comfort fit. Available highly polished, or brushed - also called a satin finish.